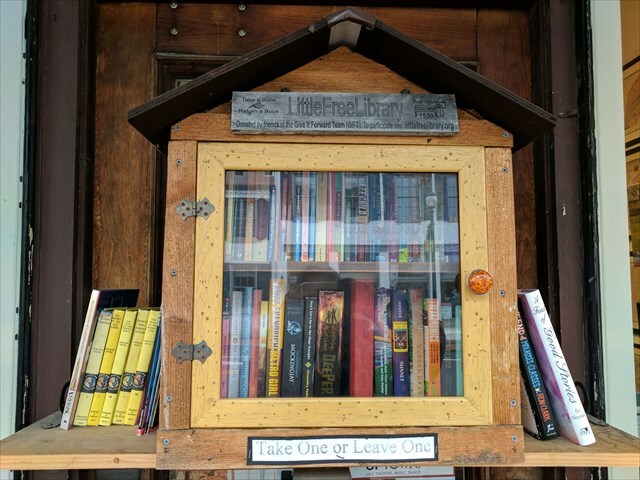 Nuts about Little Free Libraries! I'm nuts about Little Free Libraries, and I found one right here in my hometown! Placed with permission of establishment and Little Free Library owner.